Today we’d like to introduce you to Joe LaPalme. 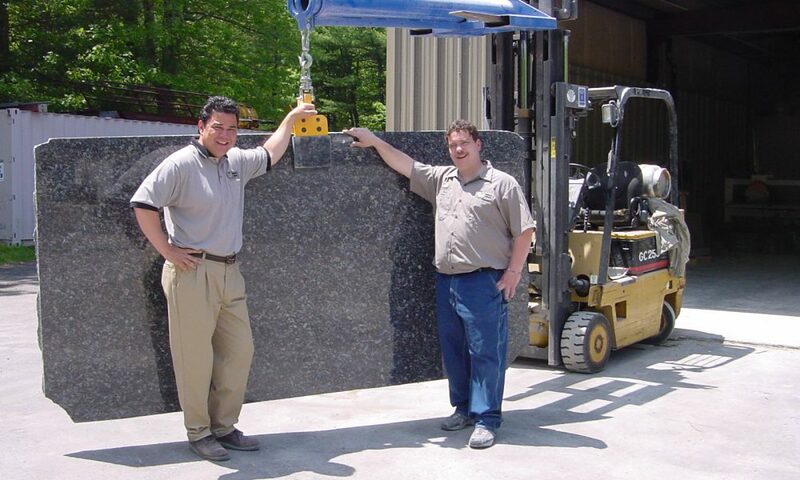 Bedrock Granite was founded in 2005 by lifelong friends Bert Costa and Joe LaPalme. The first workshop/showroom was an 800 square foot facility where everything from cutting to polishing was done entirely “by hand”. It was a dusty environment as most stone shops were at that time. In 2010 Bedrock moved its fabrication shop into a 10,000 square foot facility featuring state of the art machinery. Including CNC machines and a Robotic water jet saw that precisely cuts stone with a high pressure stream of water. Every facet of the fabrication process utilizes water which keeps the dust to a minimum resulting in a safer work environment. All the water is recycled as is all the solid waste making Bedrock one of the greenest stone cutters in the country. Today Bedrock has two consumer friendly showrooms. The Wrentham Showroom is located at the entrance to the Wrentham Premium Outlets and the Norton Showroom is located on Rt. 123 on the Norton/Attleboro town line. The recession presented a challenge but by focusing on the residential market Bedrock has enjoyed steady growth. Increased regulations have increased the cost of doing business. In order to get into the stone business today you can expect to invest upwards of a million dollars. Bedrock specializes in fabricating Natural stone and Quartz countertops. Not all stone fabricators are the same! Utilizing the latest technology Bedrock is able to deliver a quality product whether you choose granite or the latest in Quartz surfacing. Because we specialize in residential work we have 2 consumer friendly showrooms featuring full slabs and kitchen vignettes as well as samples you can bring home to see how they look in your home. Customer service and quick turnaround is what sets Bedrock apart from other stone fabricators. Bedrock is the only stone fabricator to have a dedicated Service Technician! What we are most proud of is our outstanding reputation which is in no small part due to our dedicated employees who themselves take pride in their craft. Is our city a good place to do what you do? To be located within the city limits presents several logistical problems. Bedrock uses many different suppliers, some from as far away as New York, Bedrocks fabrication shop is centrally located in Norton. The 2 showrooms are conveniently located between Boston and Providence where customers can see actual slabs and kitchen displays.